Thank you all for being here as I unveil the artwork for the first wine label I designed myself. A few of you have asked why I chose to show myself so prominently on the label…and why I’m shown shirtless and much more muscular than I am in real life. Well, the purpose of the picture is to capture the true essence of my being. By viewing this, we embark on an artistic journey to witness my true self. I hear some of you claiming that this label has nothing to do with the wine inside the bottle, and is merely a venue for me to exercise my own ego. That is not true. For example, let me direct your attention to the nymph located in the lower foreground. That’s Amphictyonis, the Greek Goddess of wine. I didn’t need to add her but I thought she added legitimacy to the theme of the art piece. So you see, it really is all about the wine. Notice also how she resembles Angelina Jolie and how she kneels at my feet, gazing upon my countenance with adoring eyes. Is that Chuck Norris I’m beating down with one hand while I effortlessly play lead guitar for an awesome rock band with the other? Yes. This is not a cheap, self-serving attempt to inflate my own masculinity. No, this is an existential metaphor of the transitory nature of life. Duh. If you didn’t recognize that, you don’t know anything about art. The scene in the background is a young man receiving a sports award. This is a commentary on the day I won the Snail Lake Elementary School basketball team’s most valuable player trophy. The angels hovering overhead are my own addition but I’m pretty sure they show up at big events like that. We just couldn’t see them. Scattered about the rest of the label are some other minor details: The name of the wine, the alcohol content, the grape variety, etc. but in each case I have been able to mostly obscure those trivialities with more exciting information like my birthday, how much I could bench press in college, and a few images of my favorite foods. 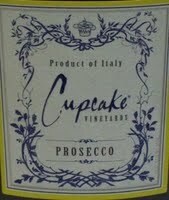 Cupcake, Prosecco ($9.99): Delicious and well-made, this Prosecco has flavors even more complex than the label described above: Take the love-child of a peach and a honeydew melon, drop it in a blender with a few almonds, pour over a piece of vanilla French toast, and serve with a shot of cream and you’d get the idea. Now enjoy a glass while viewing a picture of me. We will serve no wine before its time…that said, I’m also the same guy who would serve no high calorie snacks during the football game, and that didn’t pan out so well. We will serve no wine before its time…but then again, we’re all drunk and I didn’t expect the beer to go this fast. We will serve no wine before its time…and while I’m at it, I will serve no sushi again at the all day, fun-in-the-sun company picnic. We will serve no wine before its time…oh, and coffee enemas are out too. We will serve no wine before its time…unless you’re on death row and it’s your last request. We might consider it then. We will serve no wine before its time…but if you do happen to get some before its time, discontinue use if rash or irritation occurs. We will serve no wine before its time…and you can’t even have any when it is its time, Bob. Idiot. We will serve no wine before its time…not even if you offered us a ton of money. Why? How much were you planning to offer us? That much? Seriously? Well it’s more of a guideline than a rule, really. I mean we could maybe serve a little wine before its time and see how it goes. We will serve no wine before its time…actually we will, but just saying that makes the wine sound sophisticated, doesn’t it? We will serve no wine before its time…but for those who just can’t wait, we also have a convenient twelve liter box wine that we’ll serve any old time. One’s ready now. We will serve no wine before its time…and that goes for our cheese and sauerkraut too. Have you ever tasted cheese or sauerkraut before their time? We definitely need to wait for the cheese and sauerkraut’s time. These dog days of summer are the perfect time for this week’s recommendation. Tamari 2009, Torrontes ($14.99): Tamari didn’t hire a fat, drunk actor spewing elitist taglines to peddle their juice. Instead, they simply made the perfect summer wine and let it speak for itself. Virtually everything on the summer picnic table goes with this flavorsome Torrontes. It pairs well with fish, mild cheese, oysters, scallops, crabs, chicken, and cold meats. Just avoid the sushi if it’s been in the sun for a while. The wine store was closing in ten minutes. My wife and I stood in the aisle staring at a bottle of Barbera. “We should get it,” I said. “Kris, we are way over budget,” she replied. We recently decided to give her a greater input on our household spending. “STORE CLOSES IN FIVE MINUTES,” Yelled the guy at the counter. “If you remember I told you I would get our budget under control. What kind of message would that send if I went back on my promise?” I had the impression she would rather see our wine cellar totally decimated than give one inch. “Okay, we’ll just get a cheaper Barbera,” I said. “Honey, I’m not leaving this store without some kind of Barbera,” I said sternly. She crossed her arms and dug in her heels. “We’re not spending one more dollar on wine till we pay down that budget,” she said. 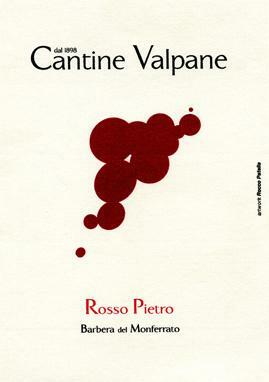 Cantine Valpane 2009, Monferrato Rosso Pietro ($13.99): If this week finds you tired of all things American, try this fantastic Barbera from Italy. Here, the wine makers simply did their job and found the perfect compromise between ripe, red fruits and a delicious earthiness. Try it with roast chicken. I had my first experience with an East Block automobile when hitch-hiking in Germany. I believe the car may have come from the Ukraine but there was no way to tell because everything originally attached to the exterior, nameplates included, had fallen off. Two of the three door hinges were broken and it made me wonder what the engineering of the more complex areas, the steering or brakes, for example, were like. Because of the missing door handle, I closed the door by pulling on the window and quickly jerking my hand inside before it slammed. After two or three attempts the mechanism took, held for a few seconds, long enough for me to trust it and lean on it, and then opened again. As we pulled out into the road, door still rattling, the bald tires broke free from the pavement and the car slid half sideways out into the dark, rainy night. To get around the strict German tail-pipe emission standards, it appeared the car’s manufacturers cleverly routed the worst of the exhaust out the vents in the cabin. Everything in the car’s interior smelled of burnt oil. To make matters worse, from time to time as an empty beer can rolled past the driver’s foot he tried to kick it toward a hole in the floor causing the car to swerve either toward oncoming traffic or an anorexic looking guardrail. The car’s lights weren’t bright enough to reach the glass covers in front of them and the windshield wiper on the passenger side worked while the driver’s side did not. The driver didn’t seem to notice. When I finally made it to my destination I turned to watch the ride leave. With a few assorted rattles and a sharp grinding noise, the car limped away behind a thick cloud of blue smoke and as it disappeared into the night I heard the faint sound of a beer can bouncing on the street. I shouldn’t have been surprised. 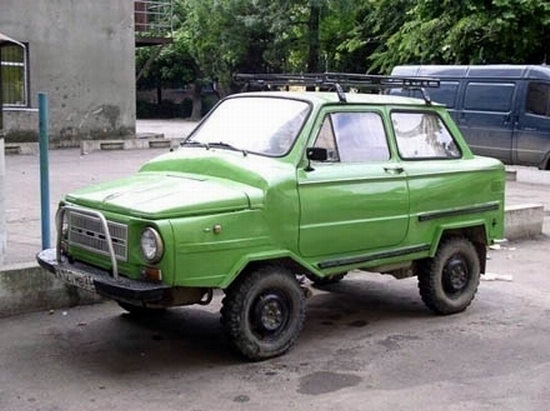 The East Bloc is not a region known for their elite car engineering. 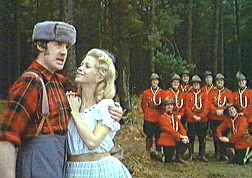 I mean, you don’t look to Siberia for their superb summer patio furniture or to Somalia for their cutting edge ski wear. That’s why I was so impressed with this week’s recommendation. It comes from Minnesota, a region not typically associated with wine. Crofut 2009, Prairie Blanc ($13.99): Made from the cold-tolerant Prairie Star and Seyval Blanc grapes, this wine shows a complexity that gives me optimism for the region’s wine future. Try it with another Minnesota classic: Walleye. We noticed each other in the first minutes of the tasting and immediately both knew it was on. I held my sample by the glass stem and with my little finger held slightly out, swirled the wine while simultaneously pretending to concentrate on the tasting notes. It was the text-book double-task swirl maneuver of nonchalance—not recommended for beginners. I wanted to finish this guy off fast. The other tasters noticed and murmured their approval. Casually he countered by placing his glass on the bar and while holding its base, quickly ran it in small circles to perform a tidy counter-clockwise, table-top swirl, silently telling me he would not go down so easily. He even stopped half way through, lifting the glass to check the wine’s color against the white table cloth before replacing it and continuing the well executed maneuver. Well played, Sir. Well played. So it seems we’re evenly matched in the skills discipline. It will come down to knowledge. Like me, I sensed he knew only enough to be dangerous so a strong showing here would end this quickly and place me firmly on top the snob mountain where I keep my throne. I prepared my strategy, briefly reviewing in my head some answers to a wine trivia game my wife gave me for Christmas. Then just as I was about to drop the term “Veraison” on him, he executed a breech of etiquette by playing his hand first, a move normally reserved for the home-court snob. “Hmmm. This one has acescence,” he said after tasting his sample. The crowd squirmed, sensing the challenge. The ball was in my court now. I didn’t even know what “acescence” meant but if there’s one thing I’ve learned about snobbery, it’s that no snob wants to get caught drawing a complete blank. I had to incorporate the one thing that’s saved me time and again–BS. I pulled a word out of thin air and confidently lobbed it back toward his end of the table. Game over. Nobody outsnobs the master. Sokol Blosser, Evolution ($15.00): You don’t have to be a wine snob—or even a fake one—to appreciate the deliciousness of this wine. It sports tropical fruits, a clean finish and because it’s made with nine different grapes it’s easy to make stuff up about all of them. A perfect wine with grilled meats and salads. Sommelier: Good evening. I’d be happy to answer any questions you have about the wine list. 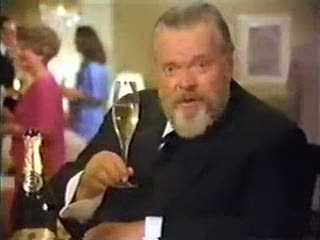 I believe the last sommelier you spoke with failed you, and if you take my advice I’ll get you back on the right track. Me: Uhm. Wow. Okay. Well, I’m having steak and she’s having the pork. Can you recommend a good Californian wine? Sommelier: No. American wines have gone to pot. We need to get back to making wines like our forefathers. Me: That sounds serious. Okay, what about an Italian wine? Could you recommend an Italian wine for us? Sommelier: If you keep drinking Italian wine, in two years America will have a deficit of nine point two bazillion bottles and three out of every four bottles we produce will go to just paying off the Italian producers. That’s why I’m implementing my three point plan to bring America back to American wine. Me: But I thought you said American wines have gone to pot. Sommelier: You took that out of context. Me: But you just said it. Sommelier: It depends of the meaning of the word “have”. Me: Okaaaay, will it be American or not? What do you recommend? 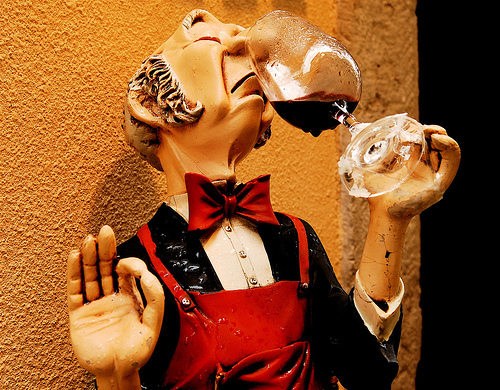 Sommelier: I don’t think the American people want to hear about my views on wine. Me: Why can’t you just answer the question? Why can’t you recommend something? Sommelier: Because if I’m going to be your sommelier my number one priority will be to repeal the corkage fee. 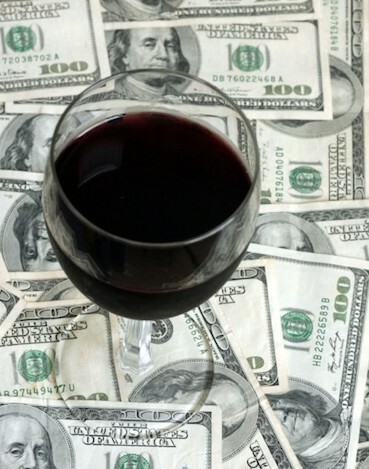 Did you know the corkage fee costs patrons two hundred million dollars a day? Me: But what do you recommend? I’m asking for a recommendation! Sommelier: If you take a look at my record, you’ll see I’ve already recommended something. Me: That’s it. I’m going to alert the management. Sommelier: It was a sommelier who alerted the British. Sommelier: That they weren’t gonna be takin’ away our wine, uh, by ringin’ those bells. No skirting the issue or dancing around the subject with this week’s recommendation. 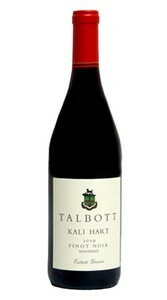 Talbott Kali Hart 2008, Pinot Noir ($16.99): Let me just speak plainly: This Pinot Noir is one of the best I’ve tasted. Talbott takes every flavor profile known to wine and stuffs it into the light body of a Pinot Noir the way creationists are crammed into the front row at a Palin rally. This quality is often not even found in a bottle twice this price. Before I was aware that some drinks have gender, I walked into a bar on the Iron Range in northern Minnesota, a bar filled with lumberjacks and steel workers, and ordered a pink squirrel. I know, it should have been obvious but I grew up in a home without booze and was new to drinking so I ordered the only drink I was familiar with–the one my friend’s mom drank. For anyone who tells you that it’s never too late to change your image, I can tell you that in some cases, it is. In this case there was no recovery and in spite of quickly recognizing my error and adding “and make it in a dirty glass!” my masculinity could not be saved that day. Now anyone who reads this column knows that I don’t really believe that a drink defines you. I repeatedly preach that you should drink what you want. But there is a perception out there in the general public that begs the question, what determines whether a drink is male or female? To help you sort it out, here are a few basic guidelines. If a drink: can’t keep the TV on one channel for more than three seconds, won’t buy new underwear until the old ones look like a tattered flag from the civil war, cleans it’s ears with the car keys, or has at least one picture of itself holding a fish—it’s a male drink. If a drink: believes the cat is inconsolable because it doesn’t like its collar, keeps you waiting for everything, owns a miniature tool kit containing nothing more than three tools that are almost broken, or requires four times the closet space of other drinks—it’s a female drink. Remember this when you’re ordering in a Lumberjack bar. This week’s recommendation definitely leans toward the male gender. Rosenblum 2008, Richard Sauret Reserve Zinfandel ($27.99): A bit pricy? Yes, but it really delivers. This wine is big and masculine and powerful but at the same time is so surprisingly refined it reminds me of a lumberjack you meet at a party who suddenly begins speaking eloquently about impressionist art. It carries those macho flavors of smoke, tobacco, dark fruit, and leather and then presents them in a way that makes them seem almost feminine. Rosenblum is also the perfect match for barbequed ribs while watching the baseball game—just don’t hand it the remote.